Whether or not Margaret was out of the country when her cousin and friend, Mary, acceded to the throne, she certainly made haste to travel to London, secure in the knowledge that she would be welcomed. She was present at court on 17th October 1553 when the new Imperial Ambassador, Simon Renard, was received. Later in the year, the French Ambassador, de Noailles, reported that the Countess of Lennox, spoken of as ‘My Lady Margaret’ and also Frances, Duchess of Suffolk, were sometimes given precedence over the Queen’s half-sister, the Lady Elizabeth. Margaret, whose son, Henry, Lord Darnley was now about 8 years old, seems to have seen Mary’s reign as the opportunity both to promote Darnley as a possible male heir, and also to enlist the new Queen’s support for Lennox’ campaign to have his Scottish estates restored. Mary certainly favoured the Lennoxes – the Earl was granted the position of Master of the Queen’s Hawks, and Margaret received valuable clothes and jewellery. Darnley was the lucky recipient of some of the late King Edward’s clothes, and also his lutes. Mary herself was a notable lute-player, so Margaret was probably pleased to see that Darnley’s skill impressed the Queen. It should be noted, however, that Mary also showed high favour to Edward Courtenay – the son of the Marquess of Exeter, who had been executed in 1538. Courtenay had been in the Tower since that time, sent in as a child, and now emerging as a possible suitor for the Queen. She dismissed that prospect, but, as a great-grandson of Edward IV, Courtenay had a very respectable claim to the throne himself. Mary was determined to provide her own heir, and quickly decided to marry Philip of Spain. This caused some disquiet amongst the Protestant faction and rebellion flared up in Kent and the Midlands. The Duke of Suffolk and Courtenay were both implicated, but, as Courtenay’s confession before the event had allowed the government to prepare and defeat the rebels, he was pardoned and exiled. Suffolk and his daughter, Lady Jane Grey, were executed and the Lady Elizabeth, who was suspected of complicity, was sent to the Tower. 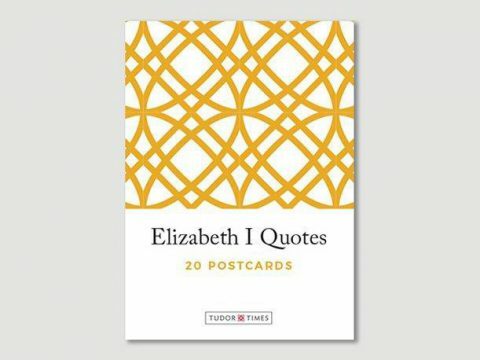 It was later claimed that Margaret had encouraged Mary to imprison Elizabeth, and perhaps to have her executed as well.Whether true or no, there does not seem to have been much love lost between Margaret and Elizabeth. When the marriage of Mary and Philip finally took place in July 1554, at Winchester, Margaret acted as the Queen’s train-bearer. Following the wedding, Margaret, although pregnant again, remained at court, acting as Mary’s chief Lady-in-waiting. During Mary’s reign, Margaret bore two sons, Philip and Charles, but only the latter survived. In early 1557, Margaret’s father, the Earl of Angus, died. She immediately claimed the earldom, and signed her letters as Margaret, Countess of Lennox and Angus. The difficulty was, that she was in England, and the Angus lands were in Scotland, being taken possession of by Archibald Douglas, grandson of her uncle, Sir George. Queen Mary wrote to the Scottish Regent (now Marie of Guise, in place of Arran, or Chatelherault, to give him his new title) requesting her to support Margaret’s claims. Marie sent a gracious response with reference to the Angus lands but refused to have anything to do with trying to overturn the forfeiture of Lennox’ lands, saying it was a matter to be decided by her daughter, Mary Queen of Scots herself. As the said Queen was in France, and still only fourteen, this was obviously intended as a rejection. More discussions were held over the Angus lands later that year, but to little avail, from Margaret’s point of view. Queen Marie was more helpful towards the end of 1557, agreeing to further discussions on the matter, but it remained unresolved. A slight embarrassment occurred for the Lennoxes when the Earl’s brother, John Stuart, who held the French estates and titles of Aubignywas captured, fighting for France at the Battle of St Quentin – a major victory for the allied Anglo-Spanish army. Having been ransomed, he then proceeded to fight for France at the siege of Calais, the loss of which broke Queen Mary’s heart, and then to take part in border raids from Scotland. Lennox and his brother were in continued communication. Such consorting with her enemies must have raised Mary’s suspicions about the trustworthiness of Lennox, and perhaps of Margaret, but no action was taken against them before Mary’s death in November 1558.